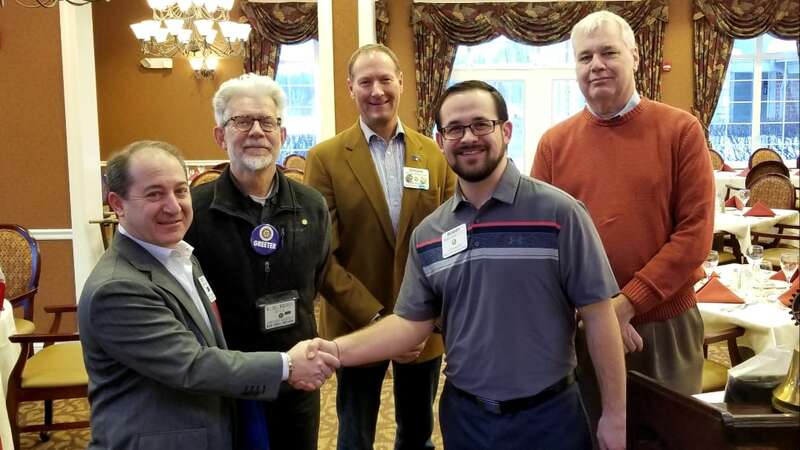 Scott Bern was welcomed as our newest member at this morning's meeting. Pictured from left: Scott Bern, Bill Wandsnider, Brian Monroe, Bobby Fisher (Club President) and Terry Schacht. Photo by Bob Blazich.